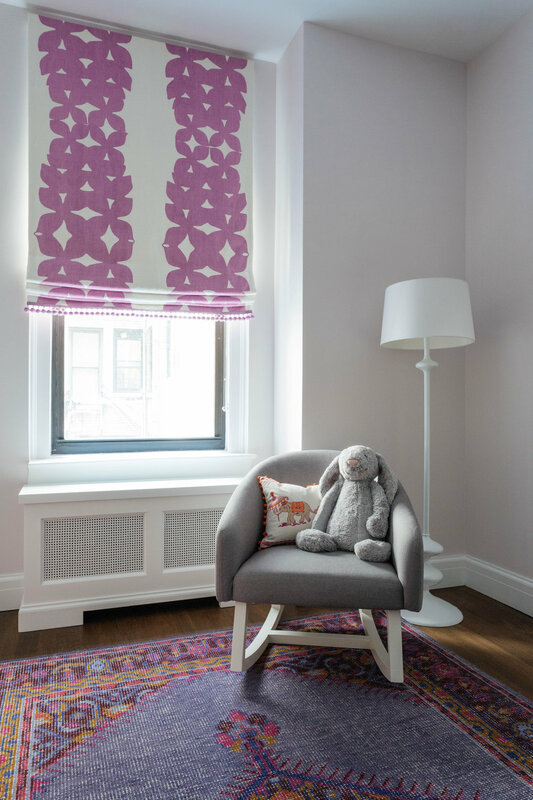 Last year I worked on a project for a family on the Upper West side. I just got the pictures back from the photographer (the very talented Nick Glimenakis) and I thought you might enjoy taking a peek. I have not been proactive about photographing projects in the past, but I swear it's a goal for 2017! And it's not just for myself. It's also fun for clients to have images of their new spaces. Nick is really fantastic and we're working on going through my old projects and getting some more shoots lined up. Hopefully we'll have some more imagery to share in the coming weeks. The clients had worked with architects to design most of the kitchen before I came onboard, but we did get a chance to do the accessories. I'm particularly fond of the window treatments on this project. This fabric from HB Luxe in the kitchen, and the fabric from Raoul in the little girls' room are two of my favorites. This shot from the foyer is one of my favorites. 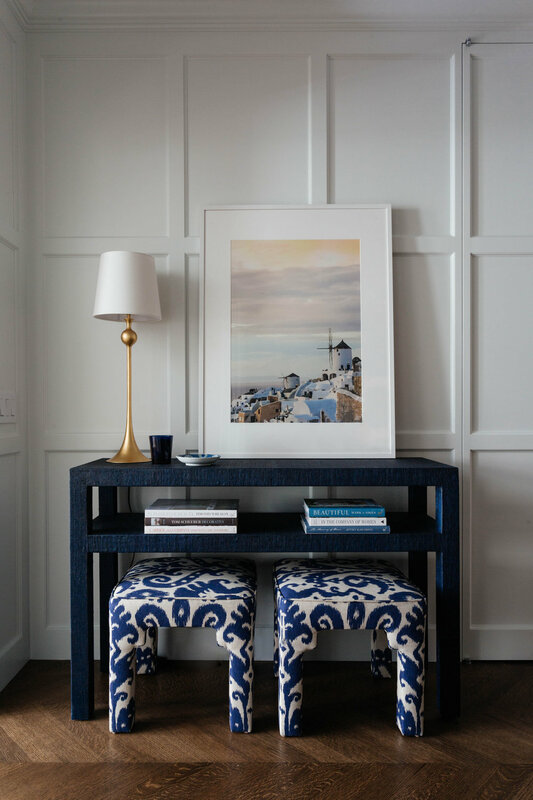 I love using stools underneath console tables. They're a great way to add extra seating during a party. You know I love a bookcase, but sometimes they can be a challenge when not everything you own is *ahem* "photo ready." The lidded boxes lining the bottom shelf is a great way to store kids toys and other items that you might want nearby, but not necessarily on display.